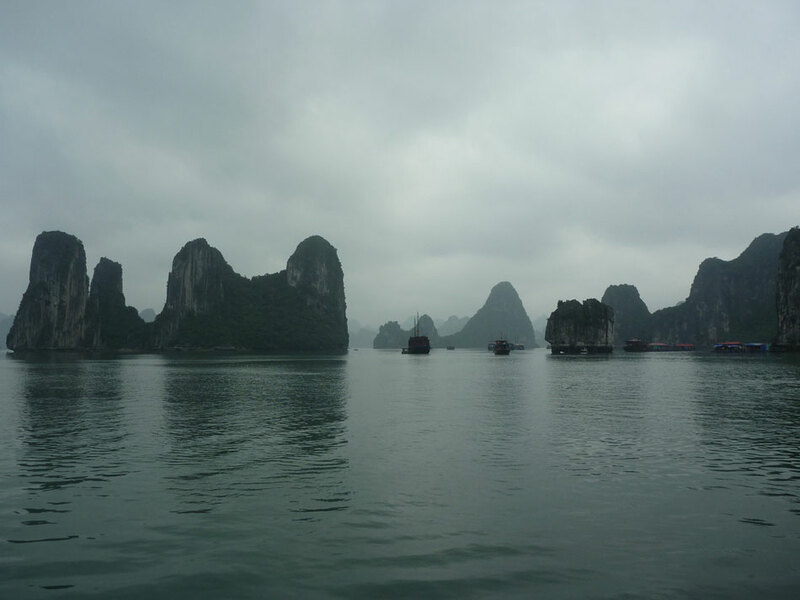 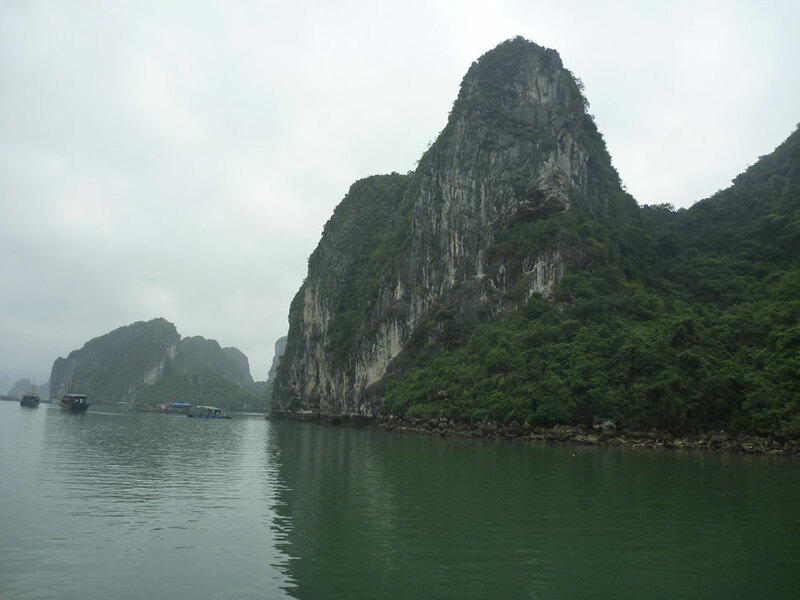 Owning a well deserved spot in 1994 on the UNESCO World Heritage Site list, the beautiful and majestic scenery of Halong Bay is the main reason why people come to visit the north of Vietnam these days. 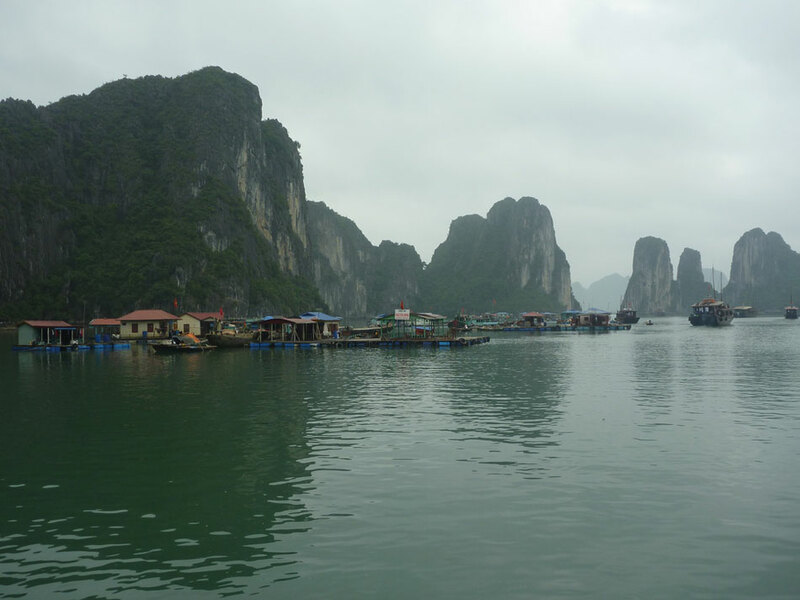 So what better way I thought to make the short 170 KM trip away from Hanoi’s noise, traffic and pollution to end the Vietnamese portion of my trip. 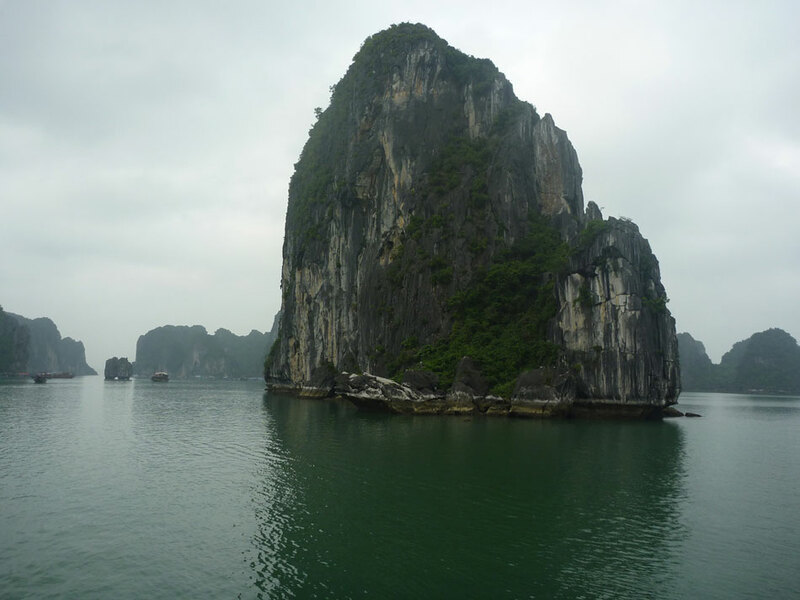 Although I had already experienced similar landscape of limestone islets in El Nido’s Bacuit Bay of the Philippines and on the Phi Phi islands in Thailand the sheer size and numbers of them found inside Halong Bay takes things to a whole new level. 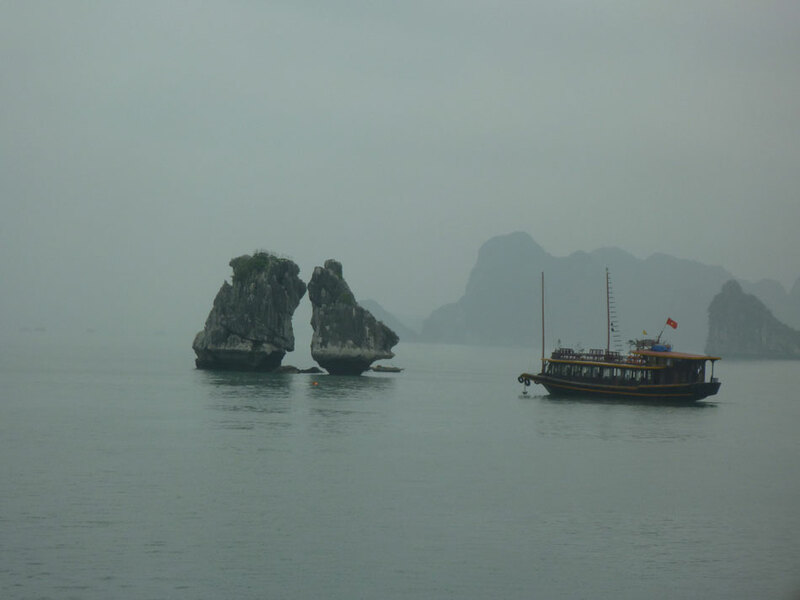 Watching some of these 3000 limestone islands sculpted into all kinds of bizarre shapes and sizes slowly going by from a junk definitely has a distinct charm of it’s own and doesn’t fail to impress. 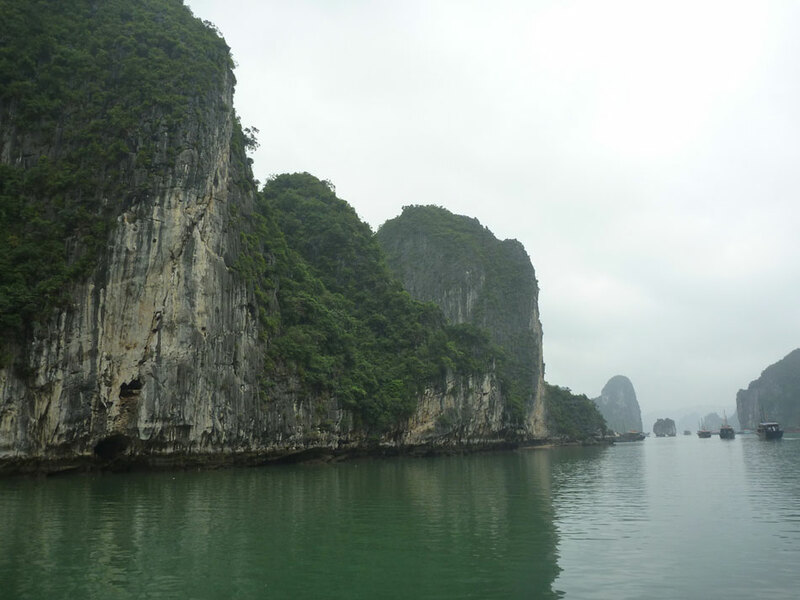 These rock formations slowly appeared millions of years old ago as they were pushed above water due to the movement of the earth’s crust. 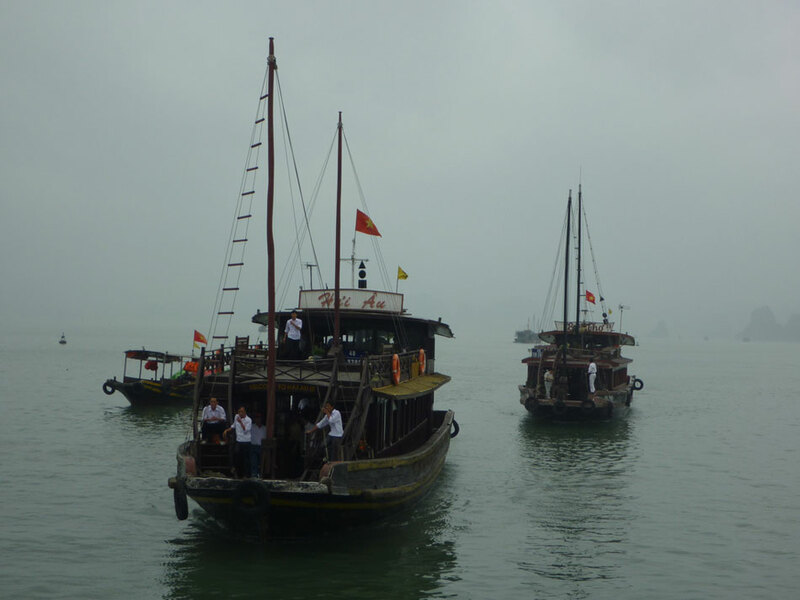 A real pleasure to the eye as well is to witness the daily lives of a community of around 1500 fishermen who reside in four floating villages among the bay. 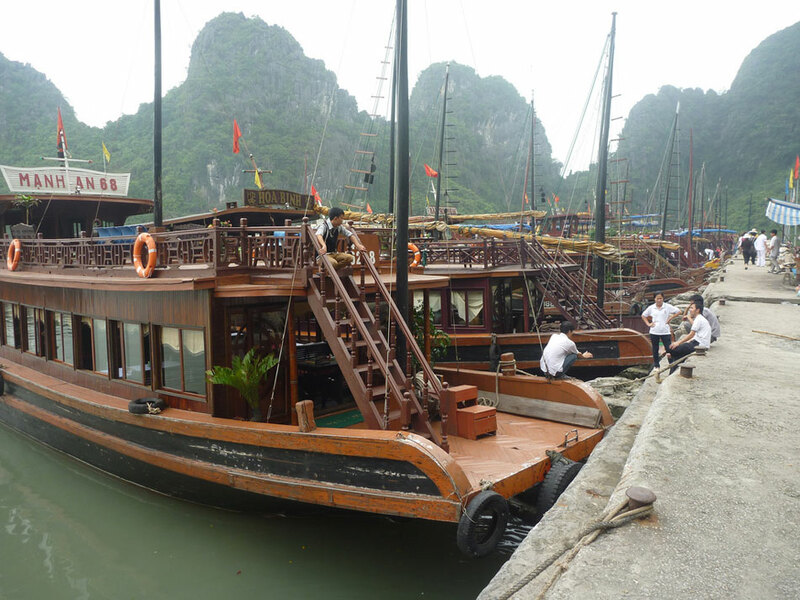 Like they have been doing for the last hundreds of years they still ply the waters for various species of fish and mollusks which in turn they resell on the mainland or to bigger boats. 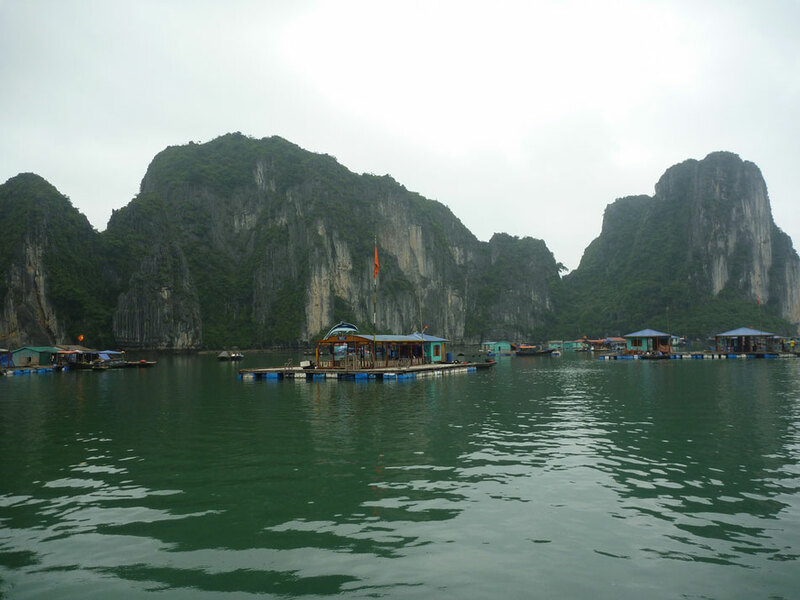 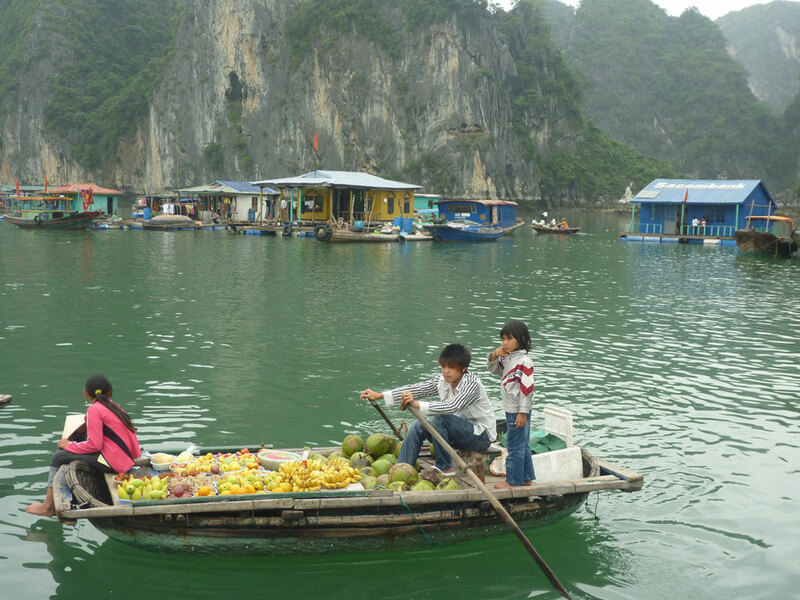 If you are not pressed for time the best way to visit Halong Bay is on a 3 day, 2 night trip which include lots of sightseeing and various activities such kayaking, swimming, trekking, bike riding and cave visits. 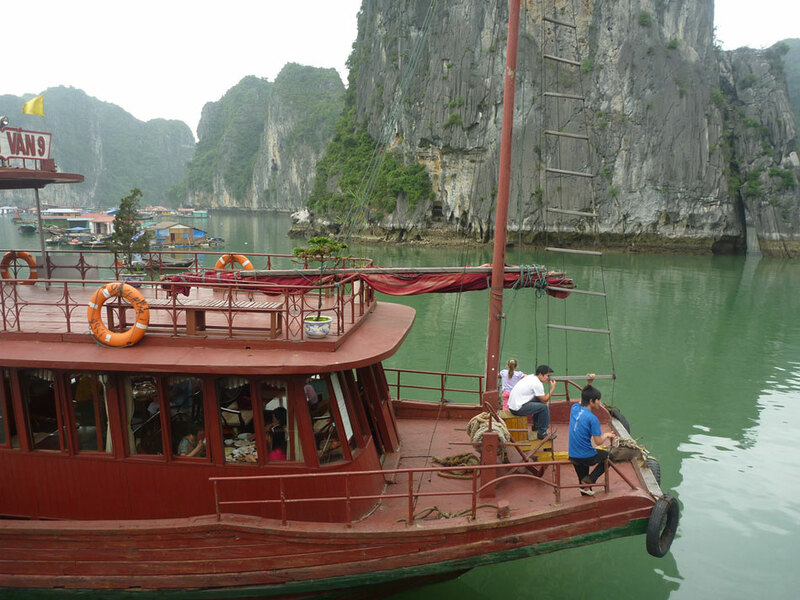 Keep in mind that with day trips you’ll be spending as much time traveling on a mini-bus than the cruise itself. 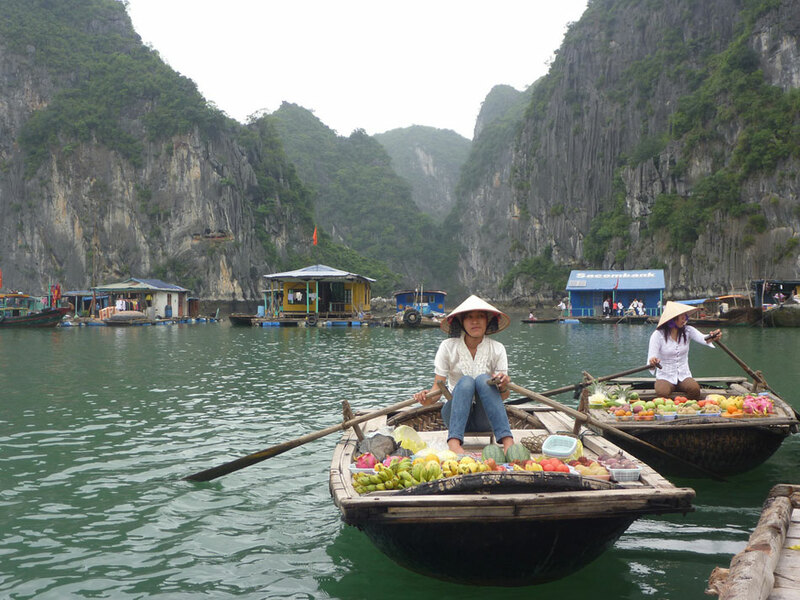 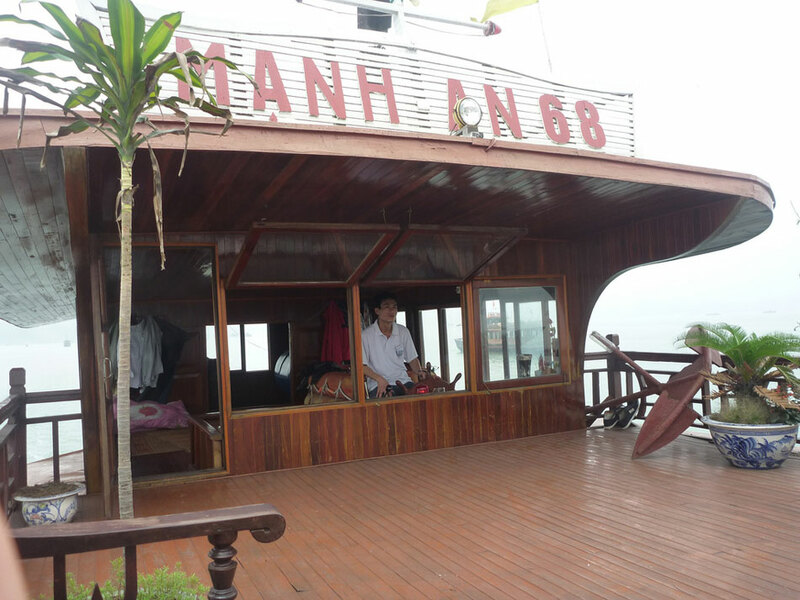 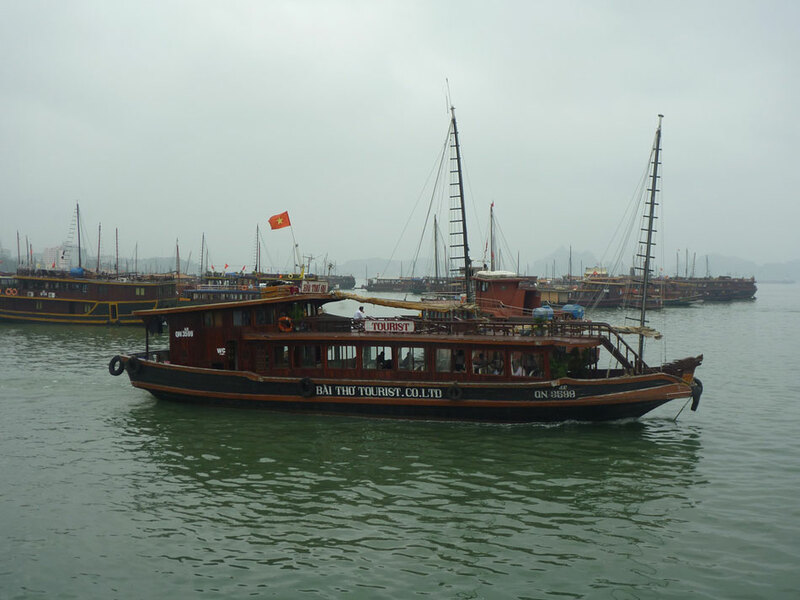 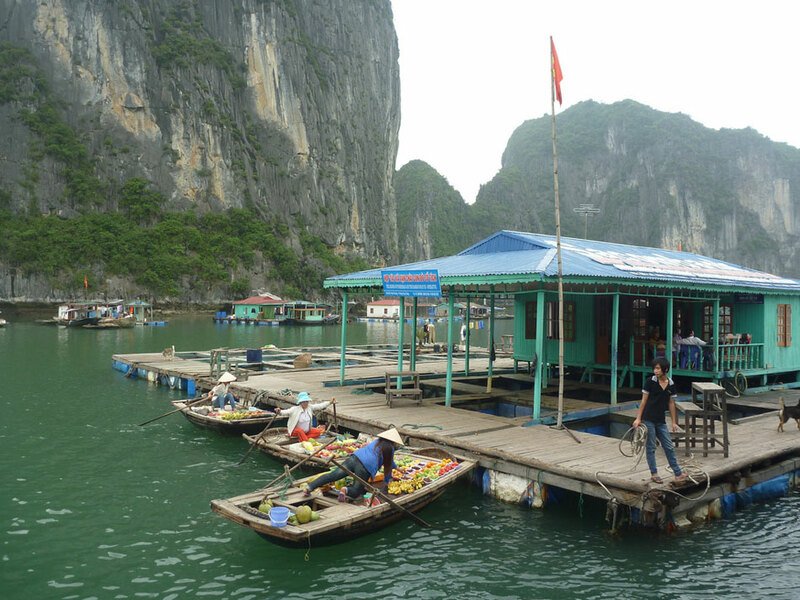 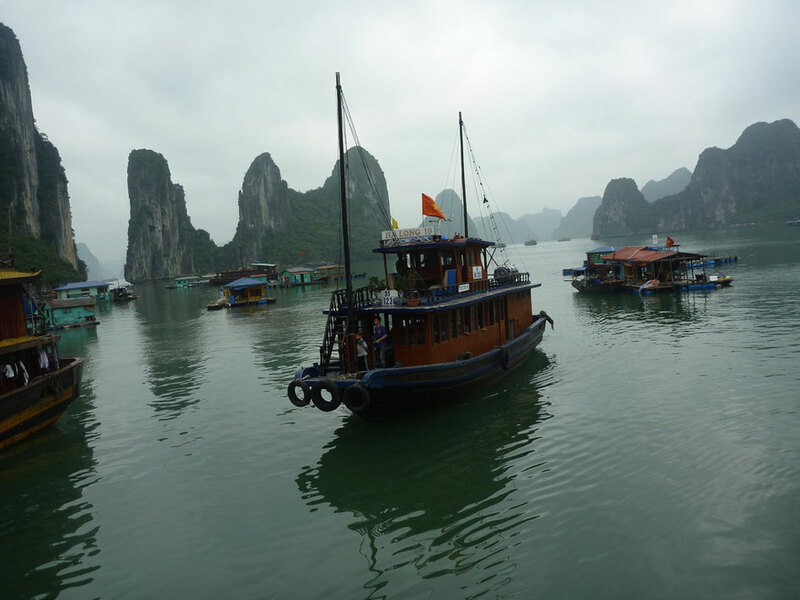 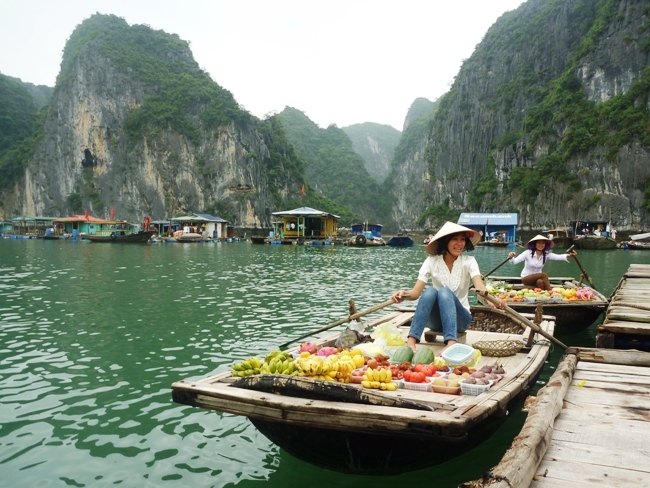 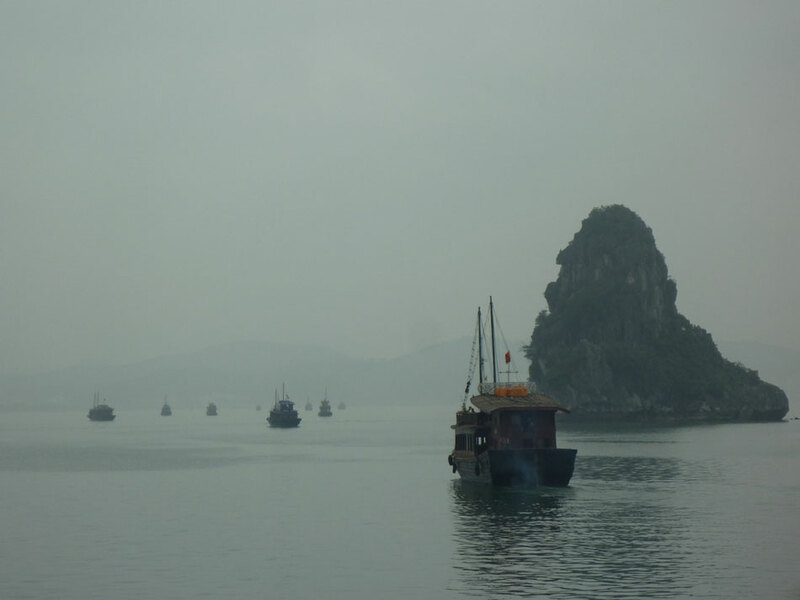 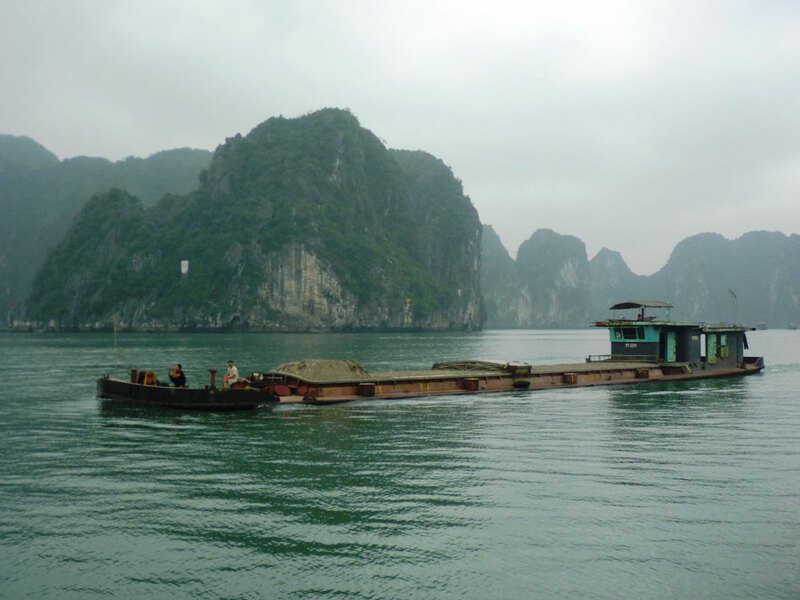 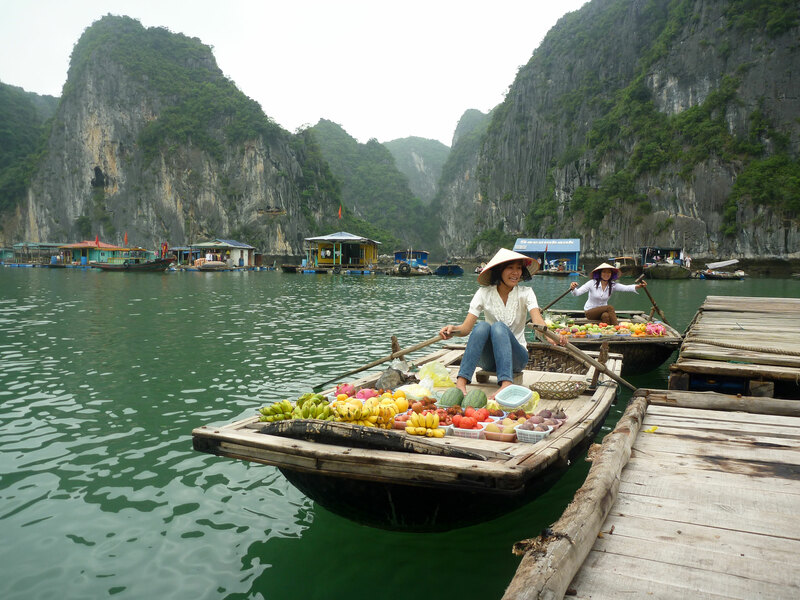 The main problem with overnight cruises though is finding the right one… As of the hundreds of agencies that will sell you tours in Hanoi or elsewhere in the country almost none run their own boats. 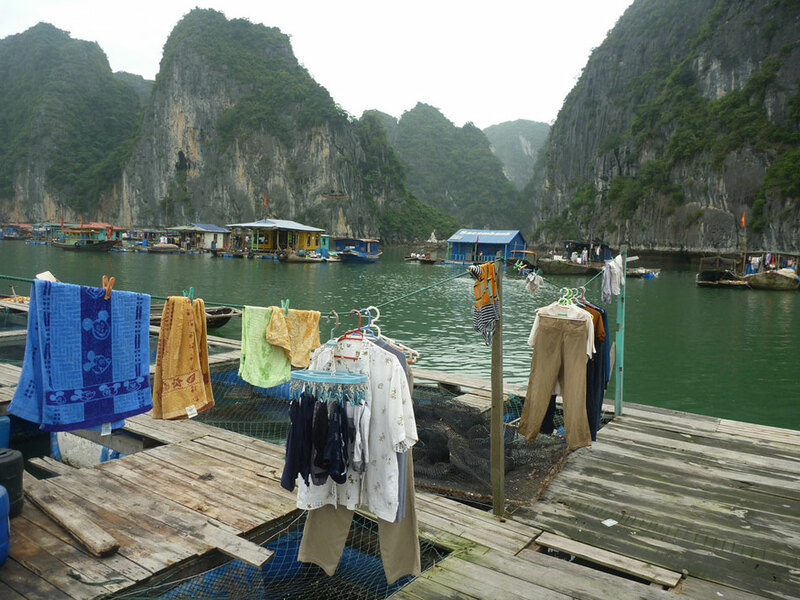 They act as resellers which makes it very hard to know what you’re actually going to get down the line once at the harbor. 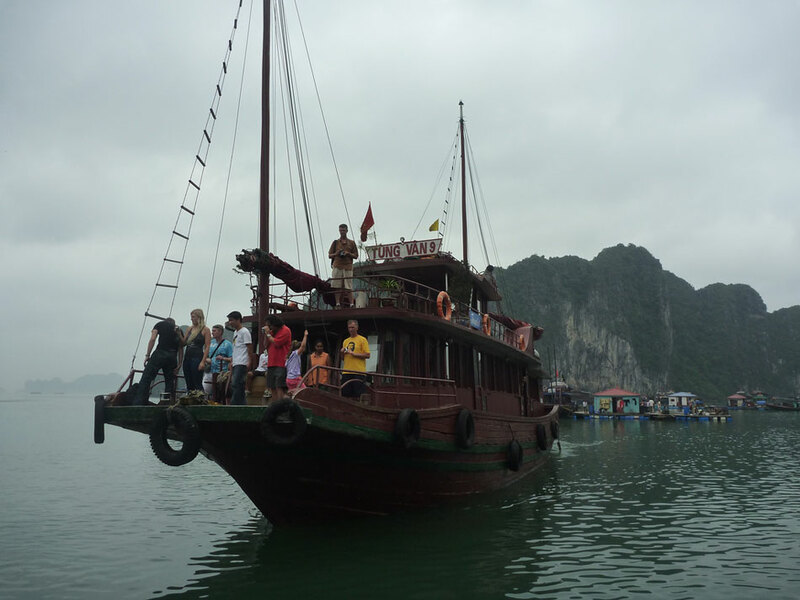 For a little word of advise on picking one read here. 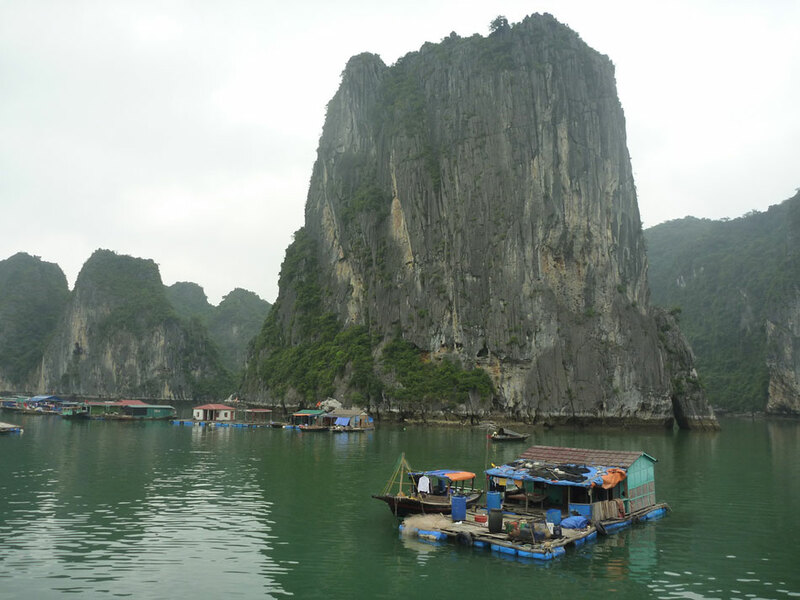 While Vietnam itself is fairly new to tourism don’t get your expectations too high in finding here one of those last undiscovered gem of Asia. 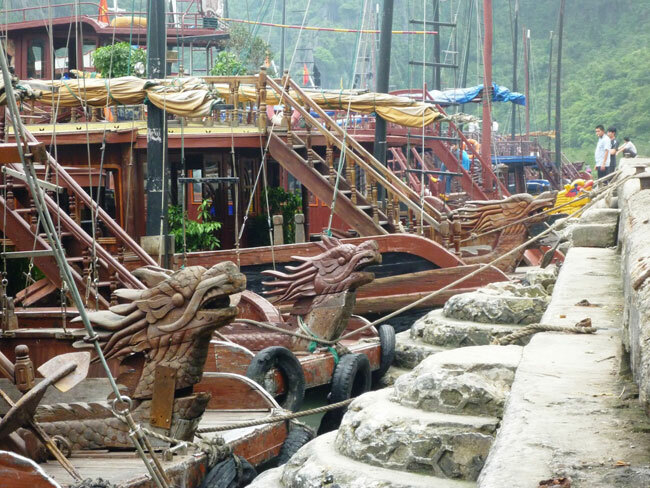 Once at the port you’ll immediately notice the hundreds of boats awaiting to be assaulted by a never ending stream of tourists. 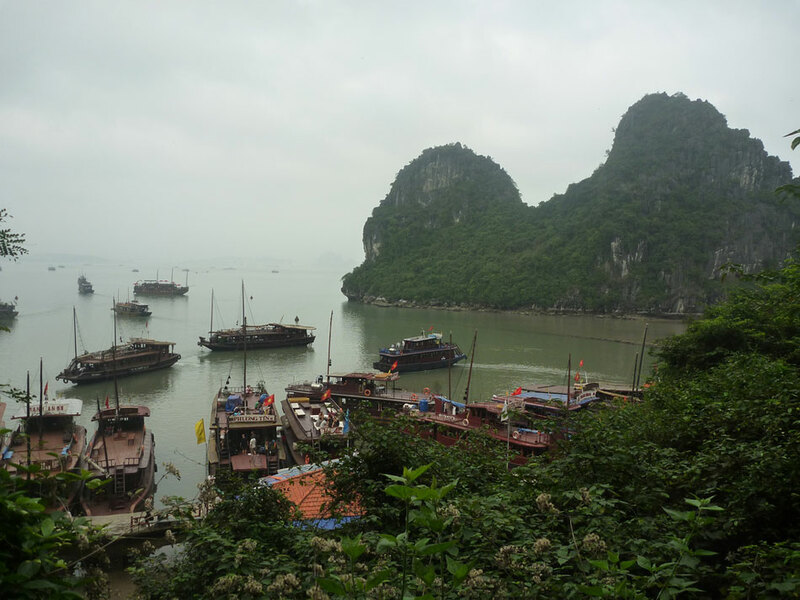 Fortunately, the bay’s massive 1500 km2 proportions partly make up for that.